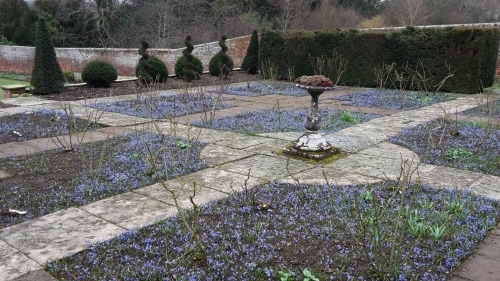 Now lets hope the snow has passed and the weather starts to warm up so we can start to enjoy the garden once again. 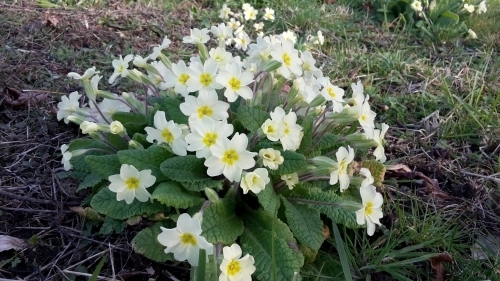 You will see lots of your plants starting to spring in to life and put on new young growth. There is still time to mulch your beds or add organic matter to give your plants a good start to the season. Prune Penstemons as you see the new growth start to appear at the base of the plant. The older growth is left on to protect the base of the plant from the harshest of the frost. 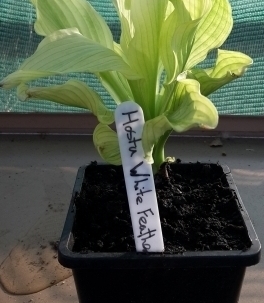 Its a good time of year to split and divide Hostas as you see the new growth appear and Primroses as there flowers fade. 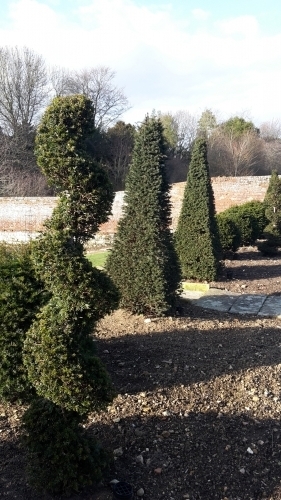 If your planning on moving any evergreens or planting new topiary now is the time as the soil warms and April showers help water the plants in so they establish well. You can now sow hardy annuals outdoors and annual wildflower meadows. Make sure you check for weeds during the germination process as they can outcompete your flowers very quickly. In the glasshouse make sure to check for pests and diseases and clean the glass if you haven't done already. If your glasshouse is heated you can start off your hanging baskets now ready to put out once the frosts have passed or the plants are more established. Don't forget your lawn at the beginning of the season, over sow bare patches, fertilize established lawns with a high nitrogen feed. Make sure to edge the lawn as this little touch can make the entire lawn look a lot smarter.